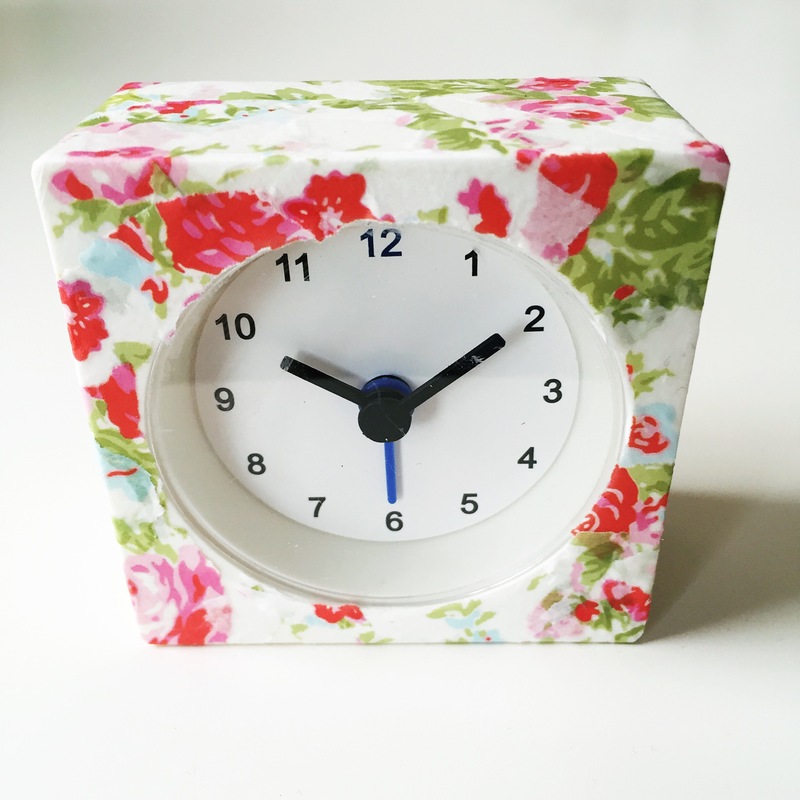 Wake up to sunny summer mornings with this pretty floral clock! 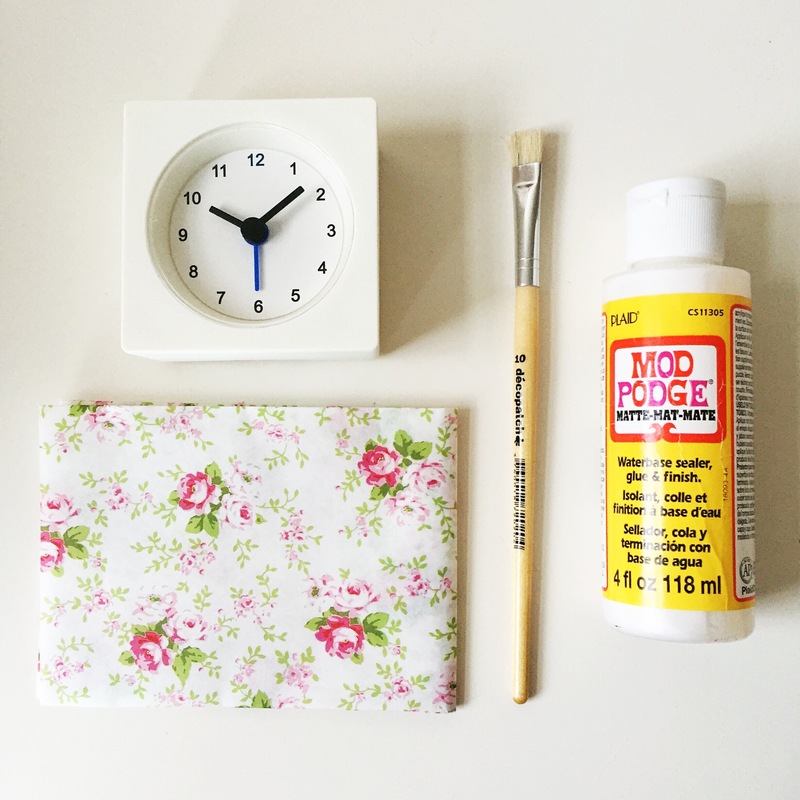 The decoupage paper is available in all of our “floral” DIY Boxes. Step 1: Start by dabbing some glue onto the clock. Step 2: Tear off small pieces of paper – about 1.5cm x 1cm on average andstart layering onto the clock. 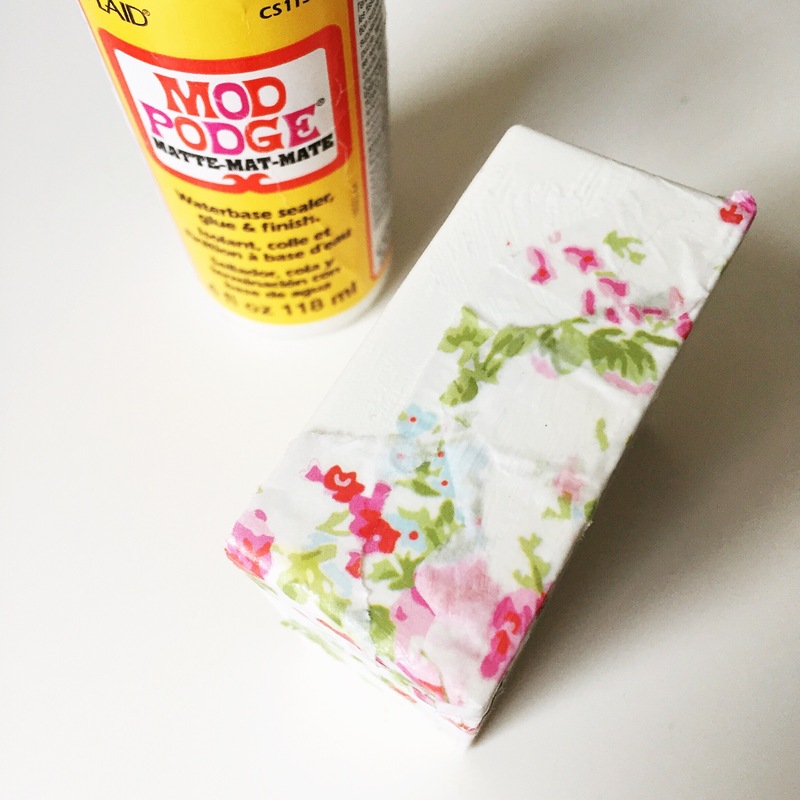 Step 3: Keep dabbing on the Mod Podge as you go making sure all of the paper is stuck down – don’t forget to dab it over the top of the paper as well. Step 4: When you get to the clock face be careful not to get any of the Mod Podge on the face itself – simply rip off bits of paper in a similar shape and keep this area uncovered. And there you go – Monday mornings will never feel as dull again! !